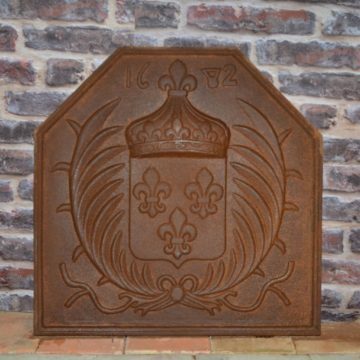 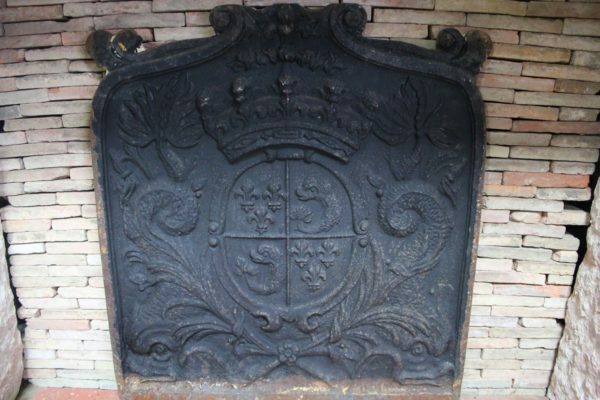 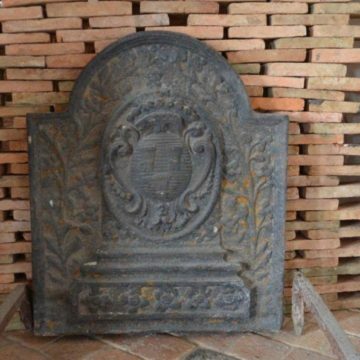 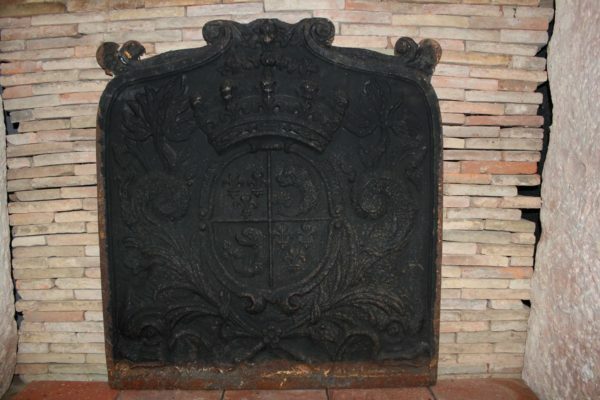 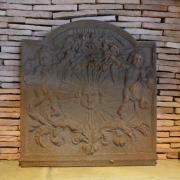 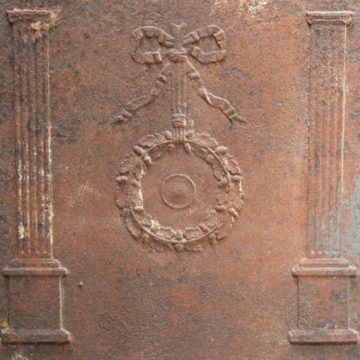 Antique French fireback with Fleur de Lys cast into the coat of arms which also features two fish-like creatures. Dimensions approx: Height 75cm (29.5 inches) x width 69cm (27 inches) Weight : 90 kgs (200 US lbs). 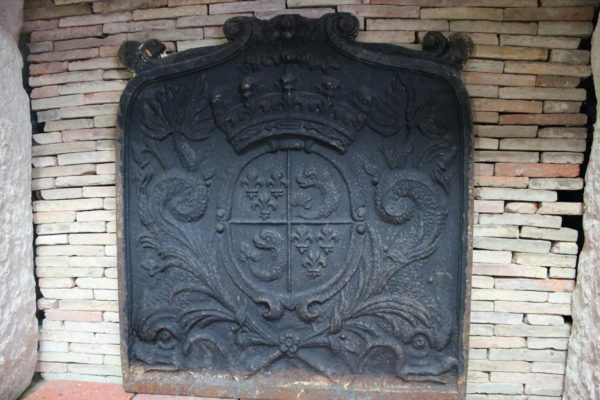 On display at BCA’s premises at l’Hôtellerie-de-Flée in the Maine-et-Loire (49) département near Angers in NW France.